This summer will mark the 30-year anniversary of the 1984 Los Angeles Olympics, and while there is no timetable for the games to return to Southern California in the foreseeable future, it has been an Olympic Games that keeps giving to our community. The Olympic Committee led then by Peter Ueberroth used profits from the games to endow the LA84 Foundation to promote youth sports in Southern California, educate coaches and maintain a sports library. Today, LA84 President Anita DeFrantz leads the caretaker of The LA84 Foundation, formerly called the Amateur Athletic Foundation until changing its name in 2007. 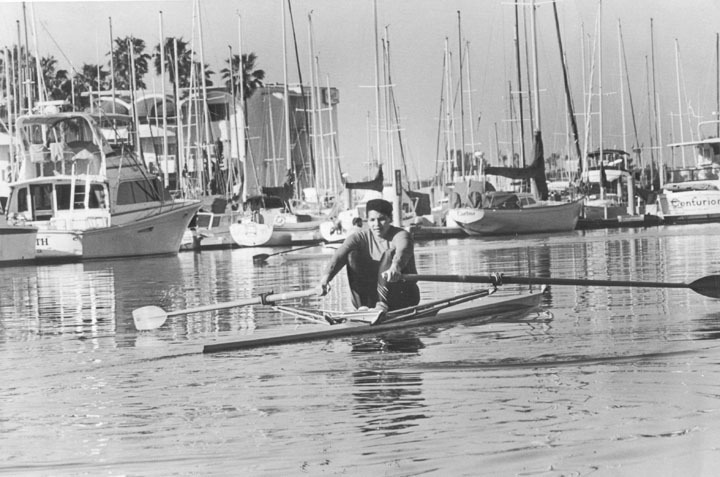 Bronze (eight oars with coxswain) as team captain at the Games of the XXI Olympiad in Montreal in 1976. She four times a finalist and silver medalist at the World Rowing Championships (1978), a member of the United States team (1975-1980) and winner of six national championships in a sport that few Blacks competed in then and now. Additionally she is the highest-ranking African American as a member of the powerful International Olympic Committee (IOC), a position, which wields weight, power, and influence that is unrivaled. The graduate of Connecticut College in 1974 earning a BA with Honors, Juris Doctor, and University of Pennsylvania School of Law in 1977, DeFrantz first job out of law school was working at Juvenile Law Centre of Philadelphia practicing children’s rights, and also as an administrator at prestigious Princeton University. “I have always been interested in how we treat children,” she explained. DeFrantz fought successfully against an organization that was profiting by placing kids in youth detention centers in Philadelphia. She has been instrumental in uplifting minorities, including Blacks, women and children through implementing a variety of programs that has inspired them to become self sufficient. In 1981 Ueberroth offer her a job to work the Los Angeles Olympic Committee. “They asked me what I wanted to do and I said there are two areas I am interested and one of the two was the Olympic Villages, and ultimately, I operated the one at USC,” she told the Sentinel during an exclusive interview. DeFrantz selected the Olympic Village because that’s where her life changed during the time she spent at the 1976 Montreal Olympics. So, her understanding of how important the village was to the athlete it was that experience that she brought to Los Angeles for the athletes. There has not been an Olympic games since that has been as economically successful as the Los Angeles Games. “In 1932 there was a $1.5 million dollar surplus and the state grabbed that up saying that would be the cost of building the Coliseum,” she noted. The Los Angeles Games generated a record of in excess of $200 million in surplus, of which 40 percent became the endowment to the then Los Angeles Amateur Athletic Foundation that was changed to LA84 Foundation. That percentage was $92 million that stayed in Los Angeles and since the foundation was formed has been instrumental in making contributions of more than $200 million back to the community, according to DeFrantz. “We’ve done a lot of work at Expo Park, and LA84 was responsible for getting the swimming pool there and getting it renovated,” she said. The pool was scheduled for closure. The organization continues to fund a number of football leagues in the Black community and Challengers Boys and Girls Club in South Los Angeles, little leagues throughout city, gymnasiums for disabled kids and many others. LA84 Foundation, which was established to manage Southern California’s share of the budget surplus from the 1984 Summer Olympic Games in Los Angeles. The private nonprofit invests in sports programs serving more than three million youth in eight Southern California counties. She has met with world leaders and United States Presidents from Reagan, to Bush and Obama, but her primary focus of youth and particularly Blacks. 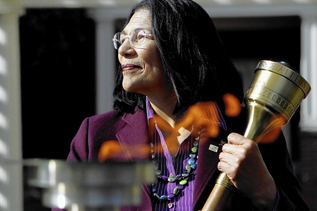 On July 18, 2014, will be 30th anniversary celebration of the Los Angeles Olympics, and while the games are history now, the presence of LA84 Foundation and their steadfast and diligent leader Anita DeFrantz are still making an enormous impact beyond its glory.